We often see deals on Carcassonne on the Play Store, but never has the price dropped below the 2 dollars mark. That is until today. 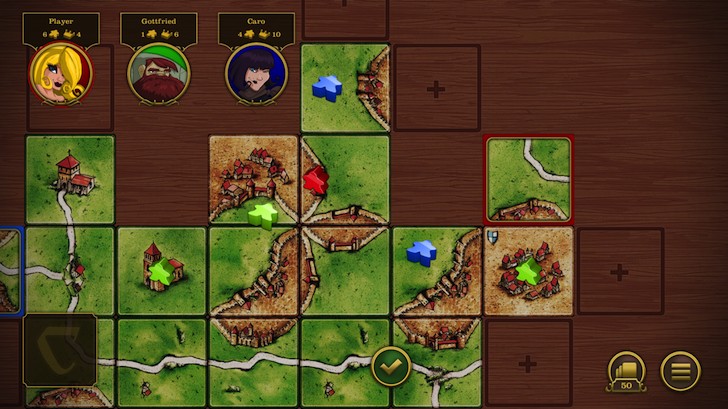 Carcassonne is this week's Google Play deal, which means that it's discounted in a couple of countries already. It's down to EUR 0.10 in France, Spain, Italy, and Germany, GBP 0.10 in the UK, and AUD 0.20 in Australia. Carcassonne usually costs $4.99 or thereabout in the different currencies mentioned above, so this is a significant saving on the original price. Sure, the game is old and some of the recent reviews haven't been very positive, but it's still the famous Carcassonne board game we're talking about here, with its strategic turn-by-turn gameplay and online multiplayer, and which, over the course of its existence on the Play Store, has amassed over 100,000 installs and a 4.3 average rating with more than 12000 reviews.